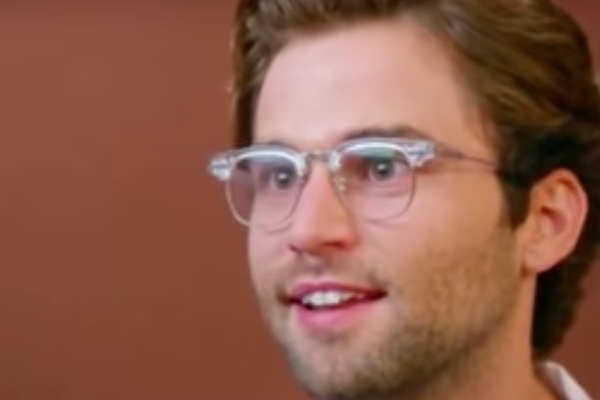 “Grey’s Anatomy” actor Jake Borelli’s character was part of a historical moment on Thursday night’s episode of the medical drama when two male doctors began a romance for the first time in the show’s history. In the episode, “Flowers Grow Out of My Grave,” Levi Schmitt (Borelli) and Dr. Nico Kim (Alex Landi), the first gay male surgeon in the series, gave in to their sexual tension and shared a kiss on the elevator. Levi admits it’s the first time he’s kissed another man. Shortly after the episode aired, Borelli shared that he and his character have something in common. Borelli took to Instagram to publicly come out as gay. “As a gay guy myself, tonight’s episode was so special to me. This is exactly the kind of story I craved as a young gay kid growing up in Ohio, and it blows my mind that I’m able to bring life to Dr. Levi Schmitt as he begins to grapple with his own sexuality this season on ‘Grey’s Anatomy,’” Borelli writes. “His vulnerability and courage inspire me every day, and I hope he can do the same for you. To all of you who feel like little Levis out there, know that I do too, that you are seen, and that we’re all in this together. And to everyone who has supported me over the years, I can’t thank you enough, and I love you more than all the stars…” he continued. In an interview with Entertainment Tonight, Borelli explained why he decided now was the time to come out. “I’ve been out to my friends and family for almost 10 years now, but within the last couple of months of shooting the show and really getting to know this character and seeing the response, I’ve realized that this is becoming bigger than just me,” Borelli said. “Within the last year or so, I’ve been giving the opportunity to speak on a much larger platform. With that opportunity, I am able to come out to a much larger group of people. I want to live in a world that celebrates authenticity and honesty and openness and courage, and I feel a responsibility to come out on a much larger scale,” he says. “Grey’s Anatomy” airs on Thursdays at 9 p.m. on ABC.